Can I use apatite to supress hunger? i am suffering from eating disorders and my local crystal healer in Egypt said it could help. 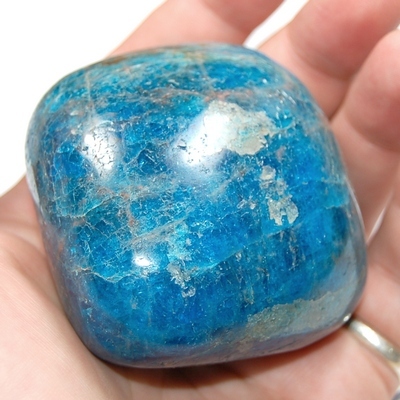 If apatite is not good enough for eating disorders, what do you recommend then? How do I clean the tumbeld stone I have? What is the best way to charge it? We dont have gardens here, but we have brilliant sun and moon shines throughtout the year. Thank you so much for you questions. Here is a link to information on different ways to clear and charge your crystals. Moonlight is a wonderful resource and works well with all of your crystals.